If a patient is looking to increase the volume or improve the evenness or shape of her breasts, breast augmentation surgery is a way to accomplish these goals through the addition of saline or silicone implants. Charlotte plastic surgeon, Dr. Vincent Voci, can consult with a patient to decide which type and size of implants would best suit the patient’s needs. Whether breast augmentation is used to correct naturally small breasts or breasts that have changed due to pregnancy, aging or weight loss, the goal of the surgery is to improve a woman’s appearance and self-esteem. "I have been to Dr. Voci for a breast augmentation and have referred 2 others there for the same procedure and we are all extremely happy with our results! 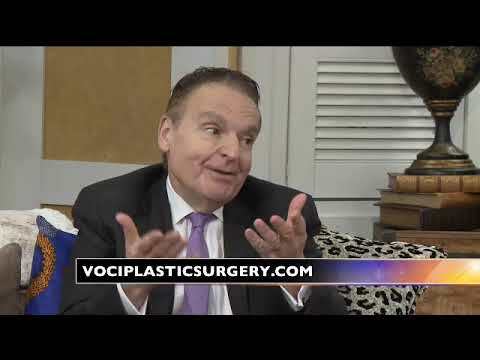 Dr. Voci is extremely nice and really listens to his patients. I recently went back to him for some facial filler (17 years later) and he is just as sweet as I remembered. The entire staff was very accommodating and I will definitely be going back!" "Let me start off by saying from the moment you walk in the door you will feel an instant warm welcoming from the friendly staff at the front desk. My whole experience from the consultation with Dr. Voci was nothing less than the best. He truly cares and listens to what you want and takes the time with every process. He is a true perfectionist at what he does and I am so pleased with my breast augmentation. I highly recommend him for anyone seeking plastic surgery in the Charlotte area!"